Printed metal sheet with plastic ferrules. 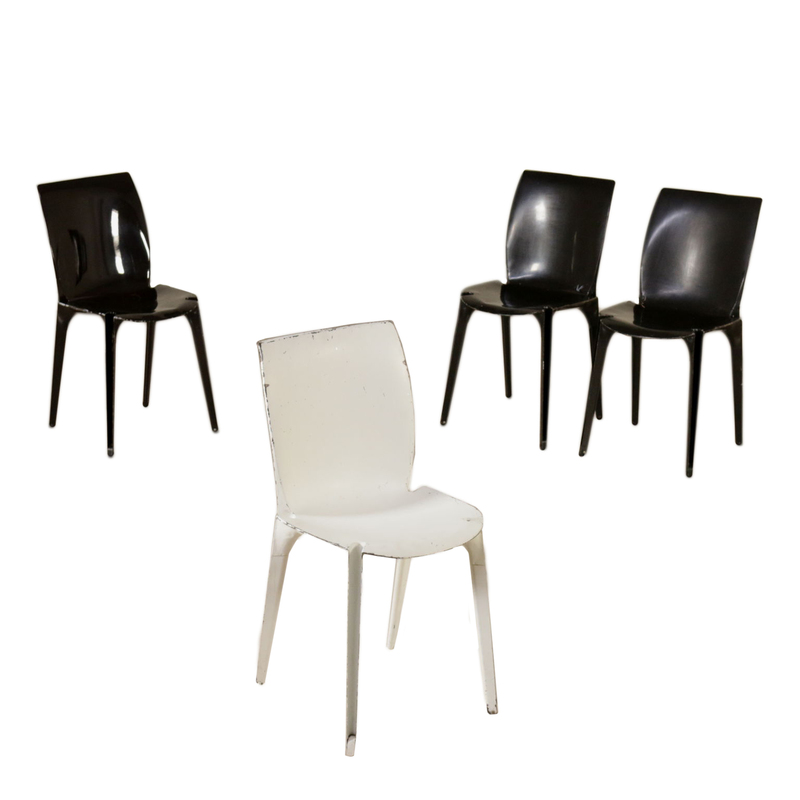 A set of four chairs designed for Gavina S.p.A., printed metal sheet with plastic ferrules. The designer Marco Zanuso (1916 - 2001) with his Lambda chair follows the road of the new technologies, exploiting the building techniques used for the car's bodywork. Unfortunately these techniques did not proved suitable to produce furnishings. Model: Mod-Lambda. Manufactured in Italy, 1960s.